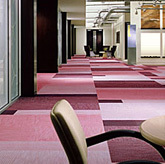 Your carpeting not only represents a significant capital investment for your company, but also plays a major role in contributing to the overall image of your office environment. You can help maintain both the economies and overall beauty of this investment by letting Commercial Carpet Cleaners create a custom-tailored carpet maintenance plan for you. This specialized program will reward you with years of dependable, economical service and maximize the life and appearance of your carpet. 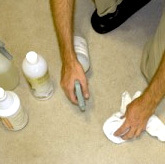 Our carpet experts will conduct a comprehensive analysis of your facility to design a comprehensive maintenance program ideally suited to your specific needs. 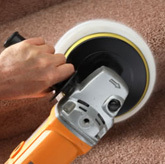 This program will preserve and maintain your carpet, producing a brighter, fresher appearance week after week, month after month and year after year. Best of all, it can be easily adjusted as your organization changes – whether you’re downsizing or launching an extensive office expansion. Once your plan is established, our dedicated, trained personnel will provide you with years of valued service. You’ll come to recognize our employees not only by the uniforms they wear, but by their courteous, professional manner. 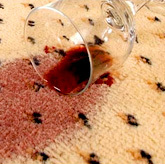 Obviously, there is no one best method to clean all carpets. For optimum efficiency and cost effectiveness, our wide range of cleaning systems address the varying soiling conditions and traffic patterns in your facility. This specialized program will reward you with years of dependable, economical service and maximize the life and appearance of your carpet. Wall to wall cleaning service. 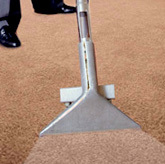 We spot clean all carpeting that requires special attention, such as public areas, elevators and lobbies. 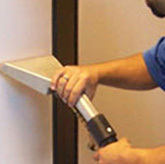 This procedure is utilized for high traffic hallways and heavy use walkways. Typically done annually, this includes pre-spotting for heavy soil and stains and a thorough, deep-cleaning for all areas. Effectively protects your carpet from spots and stains by applying Fabric Protector to heavy traffic areas such as entranceways and lunchrooms. We’re there when you need us … within 24 hours. It’s just one more way of showing how seriously we take our commitment to you. 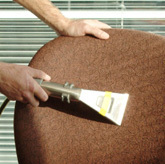 Commercial Carpet Cleaners provides you with the perfect solution to keeping your modular systems furniture including fabric chairs, partitions and space dividers, moveable screens and acoustical panels, etc. looking as clean, bright and attractive as they were when you first had them installed.